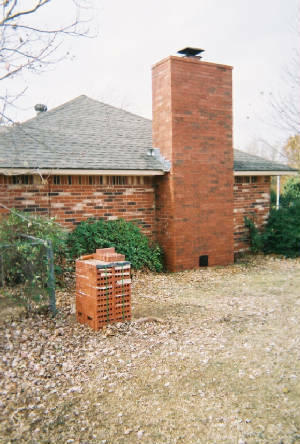 Over time the changing radical weather conditions especially here in Oklahoma, can cause brick veneer, the masonry mortar cement between the brick or stone along with cement crowns to crumble, crack, dislodge, "spall", leak water and just generally release and come apart. You may just need a few brick replaced or possibly, or if too many of the brick have "spalled away", sometimes it's more cost effective to strip off the chimneys outer veneer of bad brick and replace them with a more brittle "vitrified"(def; to change or make into a glassy substance generally through heat fusion) brick, so the problem does not come back to "haunt you and re-occur". What ever the best remediation to the problem is, we can give you those suggestions and reccommendations. 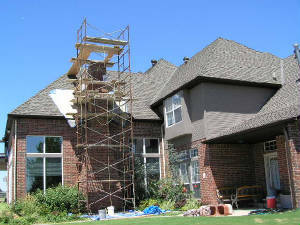 Lighting strikes on chimneys happen in Oklahoma also on a semi regular basis which can cause exterior and interior damage. 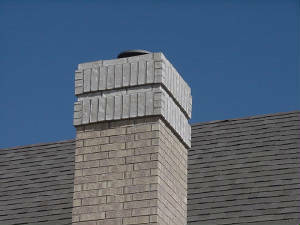 As of lately "freak mega size hail storm" damage has been playing havic on some chimney's also by pulverizing the masonry veneer and crowns on the top of the chimney. 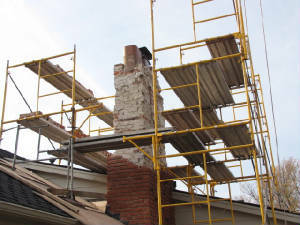 As important as it is to make masonry work functional with longevity built into the repair, it's just as important to make the repair as "as unnoticeable as possible for retained "curb appeal" of the property. 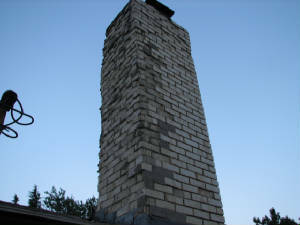 Fox Brick & Stone Masonry Service goes to great lengths to match brick or stone in size, color, pattern, joint size along with mortar color matching to existing as well as possible. This is one of the primary quailities that sets us apart from other masonry contractors. We even keep masonry stock in a special "non-public storage yard" for unique out of date brick and stone. 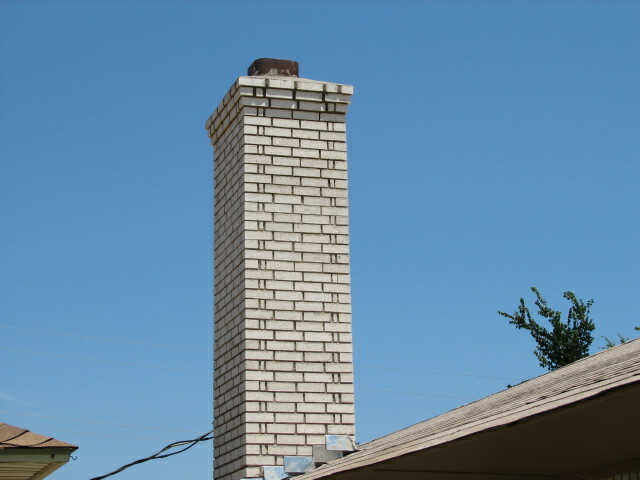 We are experienced in what is needed for the masonry repairs necessary to make your chimney safe again as it was originally. Insurance Claims needed for our projects, are alway welcome. We will gladly generate all of the needed documents and provide them to your Insurance Company directly. Also we will even intercede for you, with the insurnace adjuster, if needed or necessary, concerning the damage connected to your claim. This written documentation and service is only for projects that "We are actually going to be preforming the work on".